Made for musicians on the move. 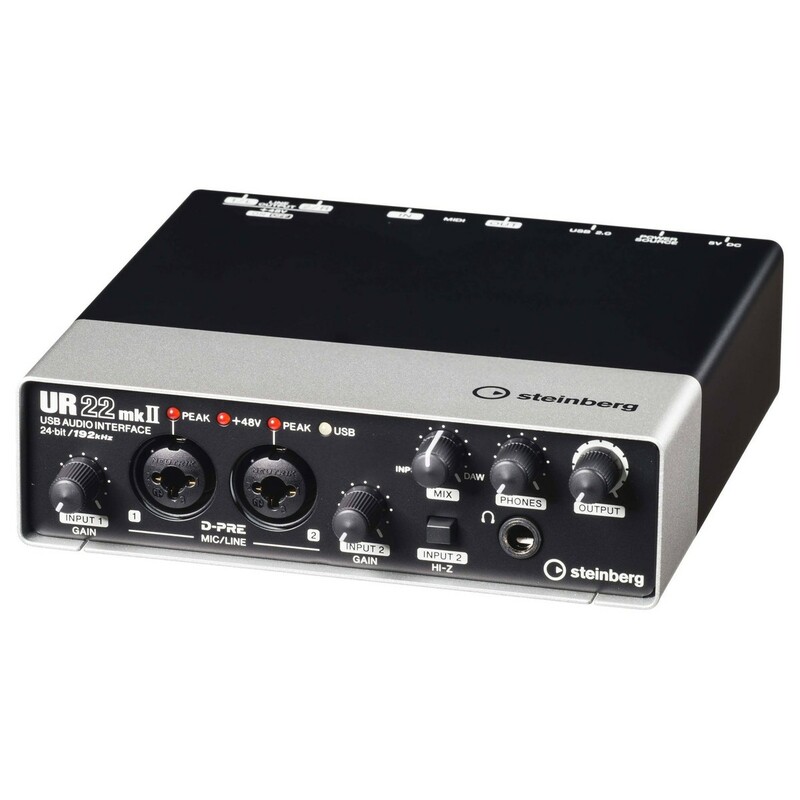 With the Steinberg UR22 Mk 2 USB Audio Interface you'll be able to record, edit, and mix anywhere. 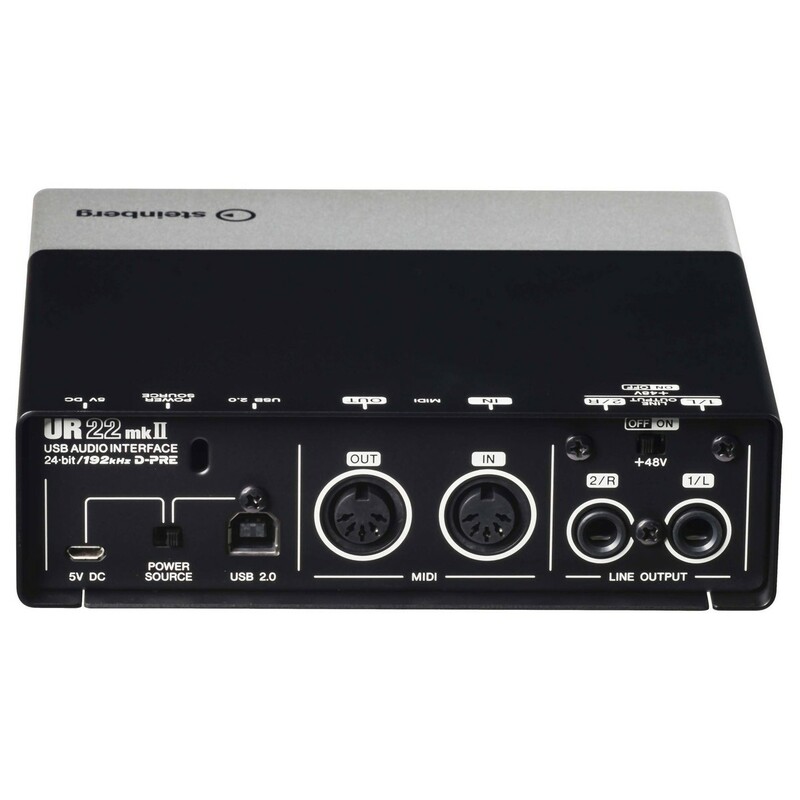 It's simple to setup, easy to use, and has a solid casing that makes it an ideal portable audio interface. It's got all the connections needed for professional recordings. You'll be able to connect microphones, guitars, and even your MIDI gear to the high resolution inputs. 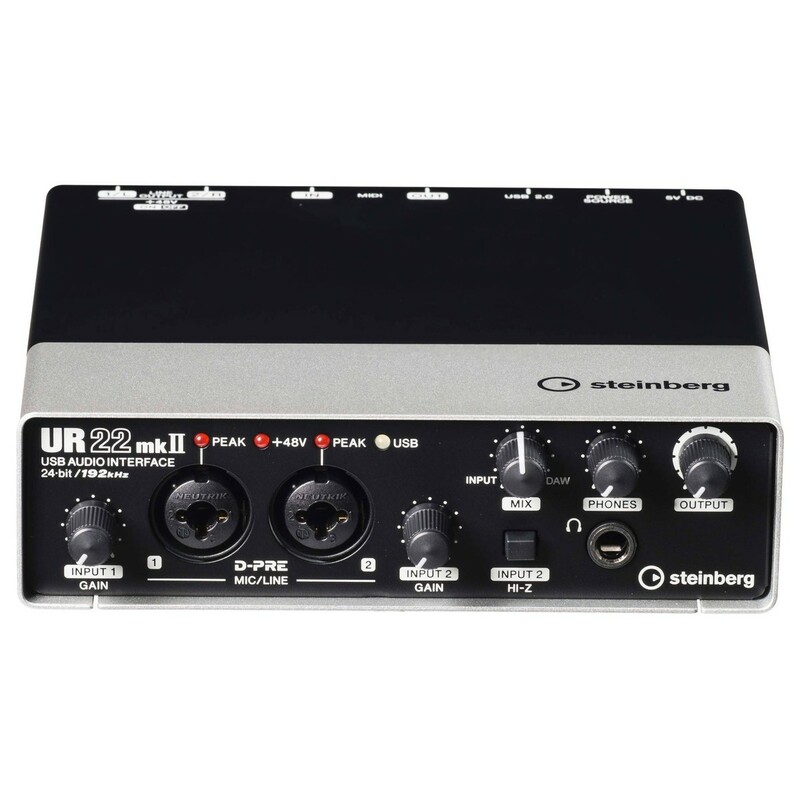 On top of that, the Steinberg UR22 has built-in phantom power for your microphones, and a headphone jack for private mixing/listening. Create a mobile recording studio with the UR22. Includes Cubase AI and Cubasis LE software too. With a 24-bit/192 kHz sample rate the UR22 Mk2 provides incredibly high audio quality whilst the innovative latency free hardware monitoring means you can monitor your performance in real time without any latency. Additionally the two class-A D-PRE microphone preamps offer a transparent and detailed sound perfect for capturing dynamic and natural vocal performances. Designed to be compatible with a huge variety of systems the UR22 Mk2 can be connected and powered by Mac and PC computers via the single USB 2.0 connection. 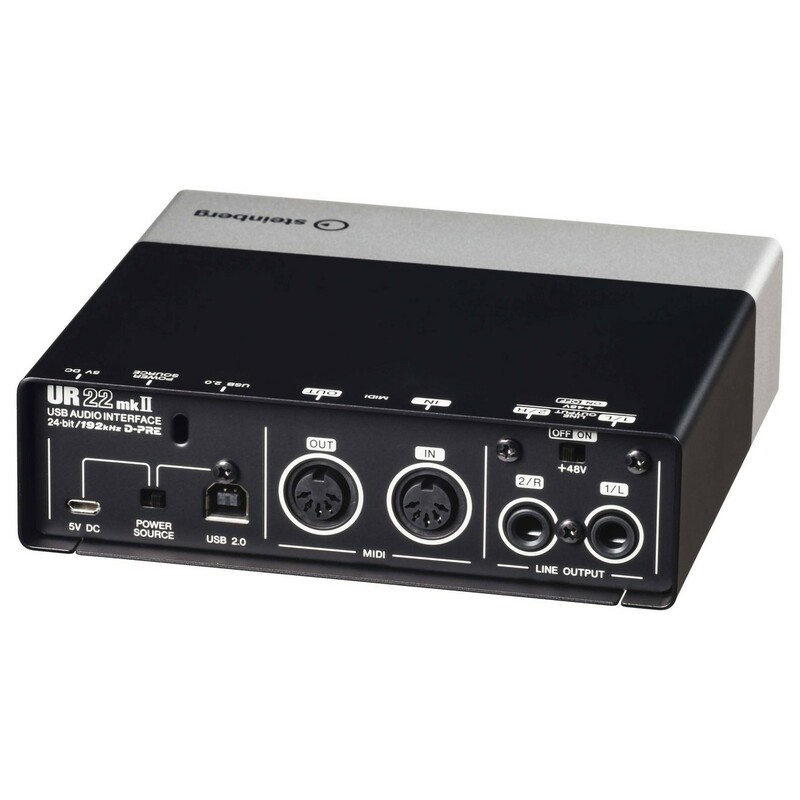 Additionally the Steinberg UR22 Mk2 can be connected to Apple iPads and iOS devices through a lightening to USB connector cable (not included). 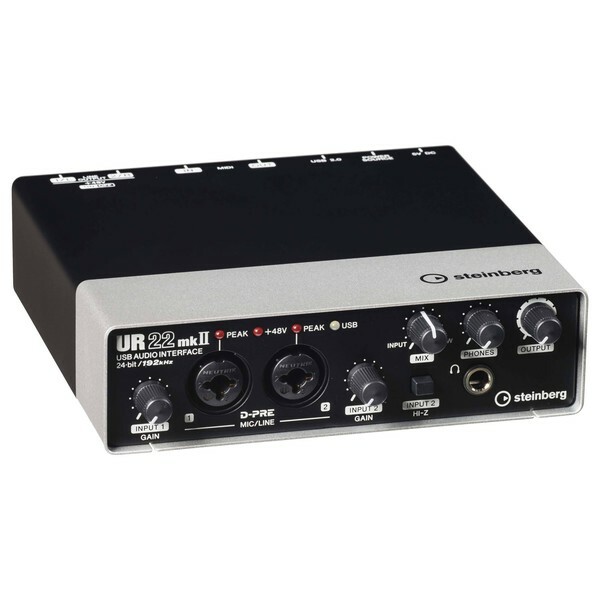 The Steinberg UR22 Mk2 interface includes a downloadable copy of Cubase AI for Mac and PC as well as Cubasis LE for iOS which provides powerful audio creation and editing tools with a simplistic user interface. Cubase AI delivers a range of impressive features from the industry leading Cubase 8 software to allow recording, editing and mixing perfect for beginners. Additionally, Cubasis LE is the perfect tool for capturing inspiration on the fly. Simply take your UR22 interface and iPad with you and be able to record, mix and edit audio ideas whenever the inspiration strikes you. 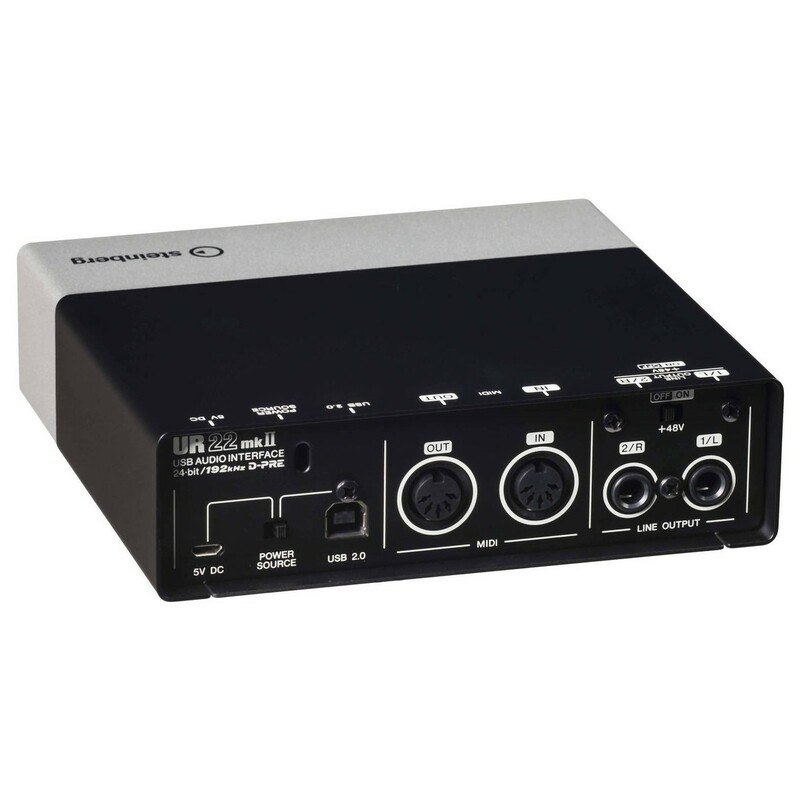 Please Note: Steinberg USB audio interfaces are now incompatible with OS X 10.11.1. Since the release of 10.11.1, Steinberg have discovered an issue with audio dropouts that can vary depending on the system. Steinberg apologise for any inconvenience that this problem may cause, and are currently working on a resolution for this problem. For a full list of Steinberg products that are compatible with OS X 10.11.1, click here .